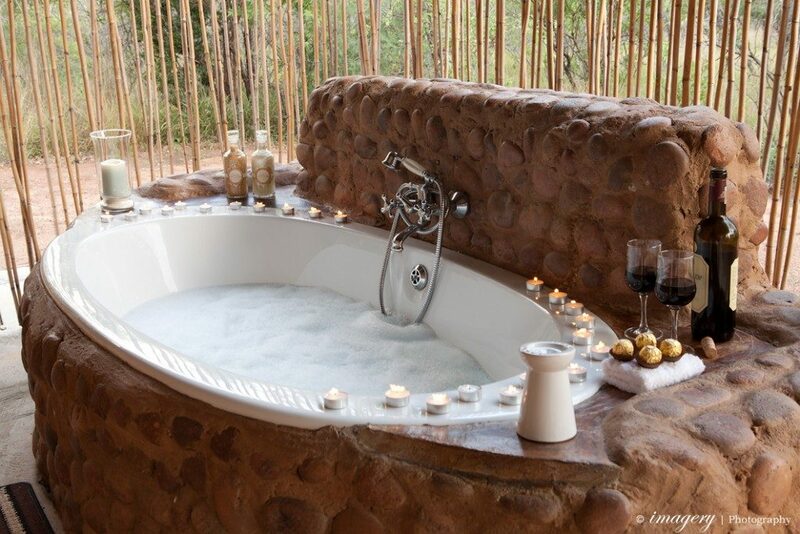 Lady Africa Bush Lodge is the romantic getaway for couples, those who want to recharge or if you are planning a birthday or bachelorettes. 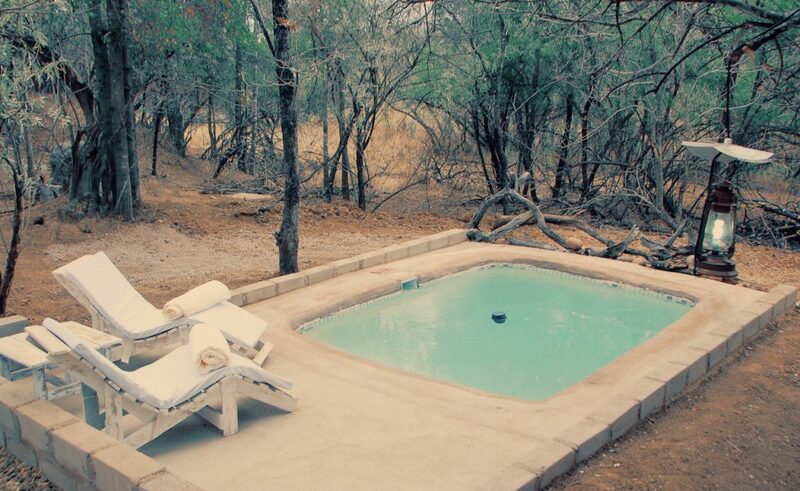 Our lodge located in the Sterkrivier Valley between the beautiful Waterberg Mountain Range. We offer various hiking trails, and feel free to bring your mountain bike with for a relaxing ride in the bush. Lady Africa has a beautiful riverfront, various types of game and sunsets that one can only find in the beautiful Limpopo Province. Come pay us a visit, and reward yourself. 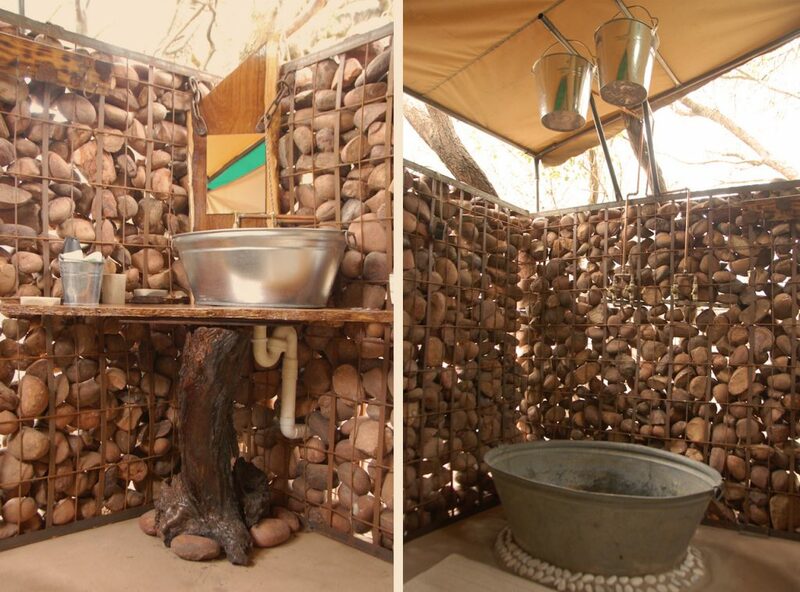 Lady Africa consists of four camp types. 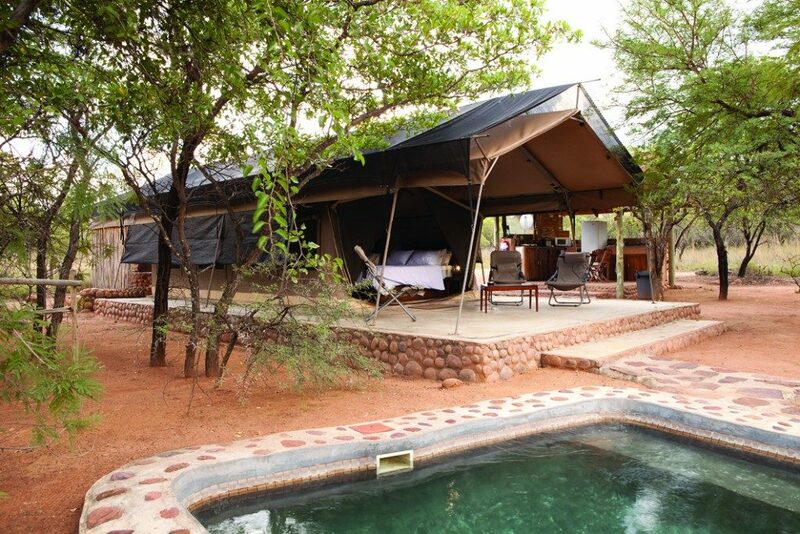 The Bush Camp [8 tents], the Safari Camp [4 tents] and the Honeymoon Suite, our flagship tent of which there is only one. 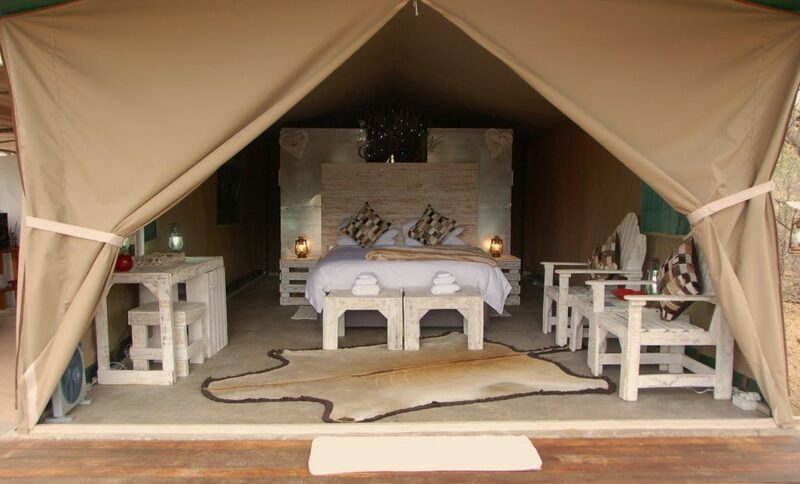 For an experience that’s closer to nature and authentically African, Lady Africa Bush Lodge offers guests the opportunity to sleep in one of four Luxury Safari tents. 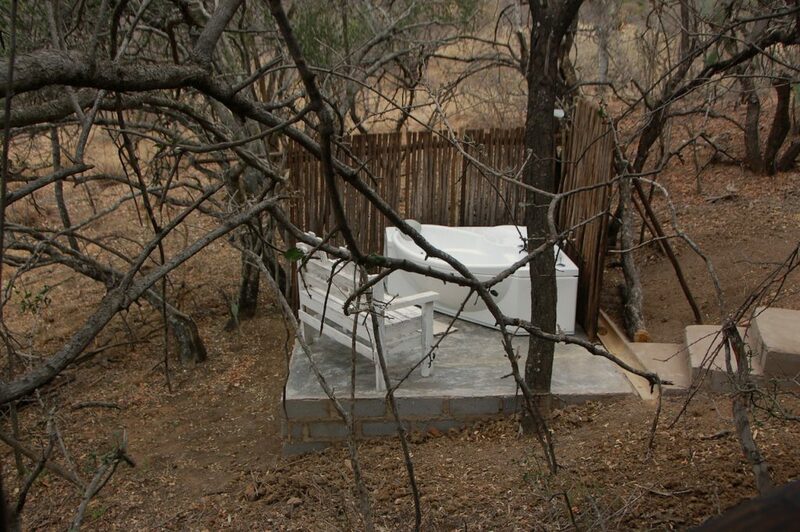 Secluded and with panoramic bush views, sleeping under canvas is an evocative experience. Relaxing on the private veranda gives a sense of a closer connection with nature and the magnificent surrounding environment. 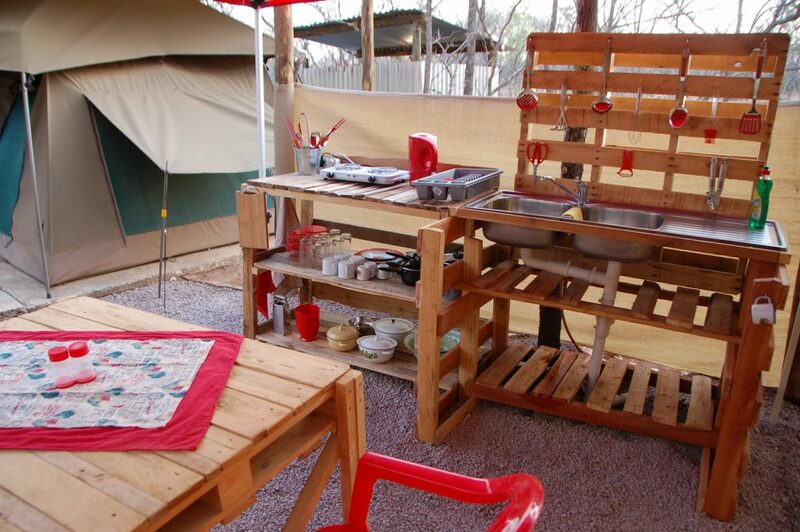 Each tent has its own private pool, toilet, outside bath, indoor shower, fully equipped kitchen, braai facility and lounging chairs. All linen are provided. Ideal for group functions like bachelor parties, birthday parties, conferences, bosberaad, or just a group of friends coming for a getaway. 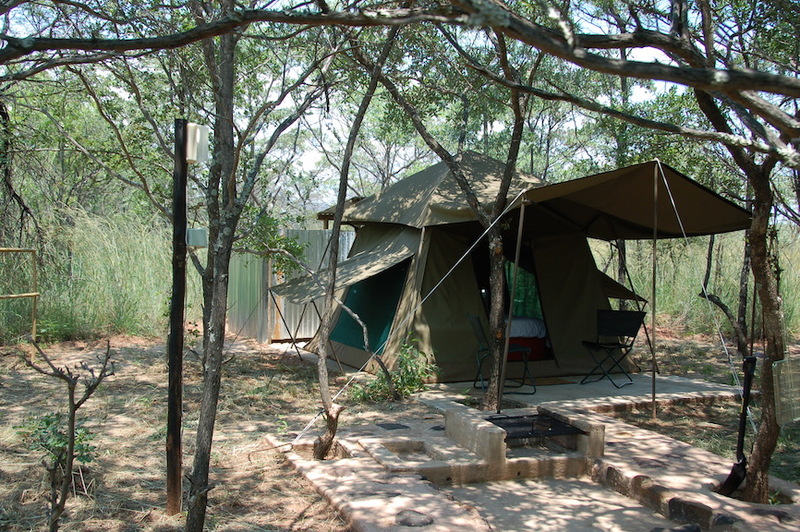 The Bush Camp is equipped with 8 tents each sleeping 2 people max per tent on a double bed. 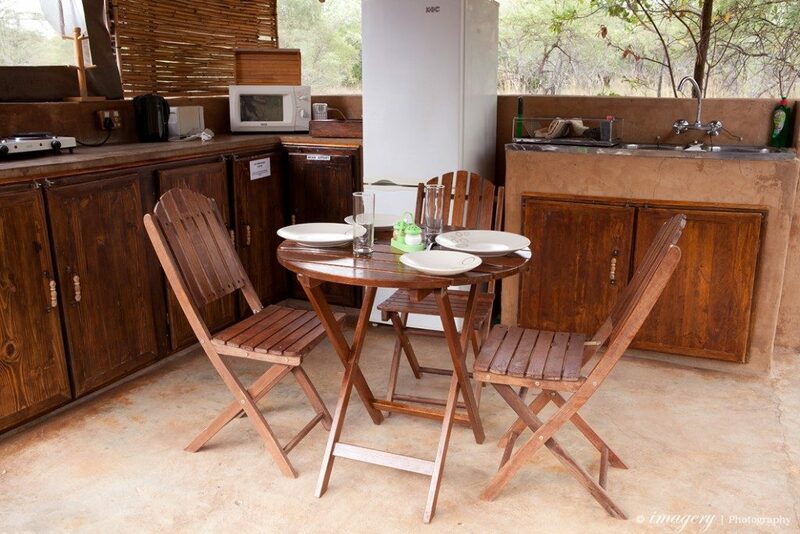 There is a communal pool and lapa with a fully equipped communal kitchen, and each tent also has its own small kitchenette and private en-suite ablution. 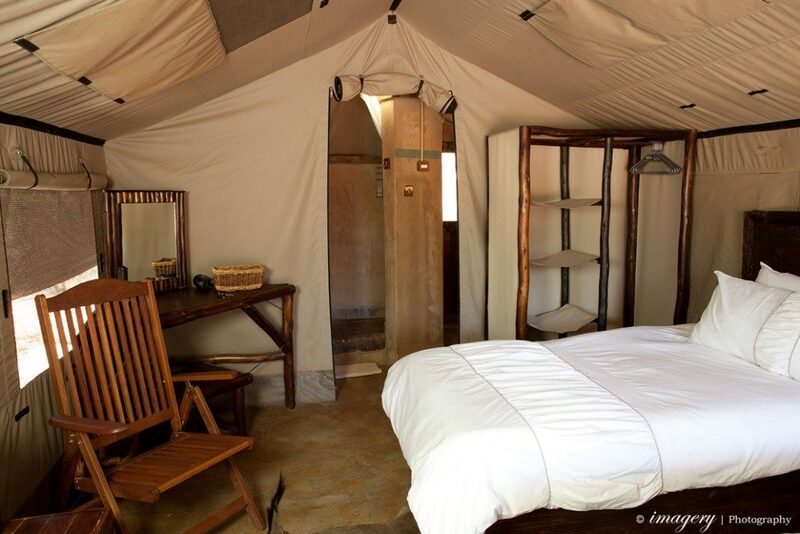 We only have 1 of these exquisite tents at Lady Africa. The Honeymoon Suite is our flagship tent designed for the ultimate romantic getaway. 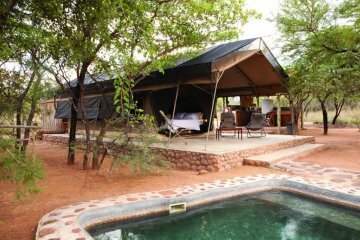 It is bigger than the Safari Tents and secluded away from all other visitors on its own under tree canopies next to the river. If you are looking for ultimate privacy this is the tent for you.